Somehow you're not alone if you've eaten a packet of cheap instant noodles and thought, "This should be a beer." Most people haven't thought that. However, the folks at Fort Worth's The Collective Brewing Project have, and they acted on that impulse. 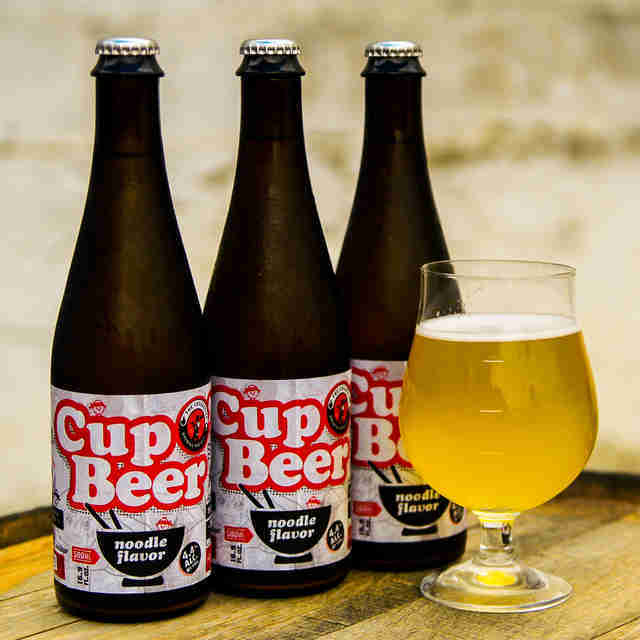 The brewery's new Cup O' Beer is a gose brewed with 55 pounds of ramen. "Our focus at the brewery when designing beers is based on two things, creating traditional sour and farmhouse styles with a modern viewpoint and making beers inspired by, and meant to be enjoyed with, food," says taproom and marketing manager Dave Riddile. Cup O' Beer is this exact thing. With its eye-catching design that plays on Cup O' Noodles, the connection to ramen is instantly clear. "The beer itself isn't really meant to taste like a bowl of miso or tonkatsu ramen. Instead, it provides complimentary flavors to a bowl of noodles. The end result is layered flavors from the lemongrass, ginger, lime, and coriander along with a briny, tart finish." In the brewing process, the team replaces the wheat that is usually in the mash for a gose with ramen. "While out on the town [in San Diego] hitting breweries, [head brewer Ryan Deyo] noticed several Ramen shops in the area. The idea struck him that the noodles could be used as a source of fermentable sugars and starches. So, he gave it a shot when he returned," Riddile said. "The reaction has been great," he continued. 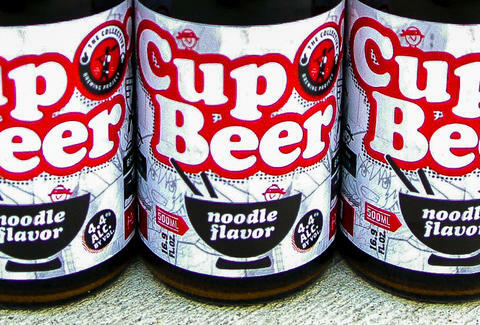 "Obviously there are a lot of raised eyebrows when you say, 'We used 55 pounds of Ramen Noodles in this beer.' But a majority of those that have tried it have loved it."